THE BEST WAY TO EXPLORE THE BACKCOUNTRY, WITHOUT A HELICOPTER. This is a private session catering for skiers and snowboarders of all ability levels – on and off-piste. From guiding to technique to avalanche training. A great way warm up before one of our Heliski packages by meeting our guides, experiencing the sort of gradient terrain you are likely to expect and take on board some technique pointers. This is a private session catering for skiers and snowboarders of all ability levels – on and off-piste. From guiding to technique to avalanche training. A great way to explore the hidden gems of your home resort with the security and confidence that a professional brings. Overnight trip nor single day trips to a backcountry refuge located outside of the resort boundaries. We depart from the resort with the use of Ski Touring equipment or Splitboards after the lifts have shut – after a 60-minute tour under starlight, we arrive at the refuge where a log fire and dinner welcomes you. A true backcountry experience with nobody around. Contact Us for more information. This package is limited to our most experienced clients, with an extremely high drop-zone at 4000m on the Italian side of Mont Blanc – a mountain that usually takes ski tourers 2 days to reach the summit of – this flight will take us a total of 30 minutes, flying directly from Val d’Isère. Contact Us for more information. Ski touring at 70° north inside the Arctic Circle in northern Norway. The Lyngen Alps and the fjords in the north of Norway is THE best area to be based in late on in the ski touring season due to it’s wild and remote setting sitting in the Artic Circle. The spring in the Lyngen Alps frequently offers excellent snow conditions, nice weather for climbing peaks, and the chance to admire the mystic beauty of the Aurora Borealis (Northern Lights) at night. With summits varying between 800 and 1800 meters, climbs will vary between 800 and 1400m each day straight from sea level. Contact Us for more information. What Is Guided Off-Piste and Touring? Guided Off-Piste and Touring are a great way to experience the backcountry with an experienced, UIAGM mountain guide or instructor. You’ll encounter a variety of snow conditions and terrain; from powder fields, to tree runs, allowing you to improve your off-piste skills. Our packages offer something for every ability so you’ll experience the backcountry at your own pace. Our UIAGM mountain guides or instructors will offer technique pointers, guiding and simulation avalanche rescue training to ensure you’re fully prepared for your Non-Heli Backcountry Experiences. Splitboarding has become hugely popular in recent years due to exciting new product development: making boards lighter, stronger and easier to use. The possibilities of travelling into the backcountry have been transformed, with snowboarders now able to access terrain that was previously hard to reach. These courses offer snowboarders a unique experience by heading deeper into the backcountry whilst learning important backcountry skills. 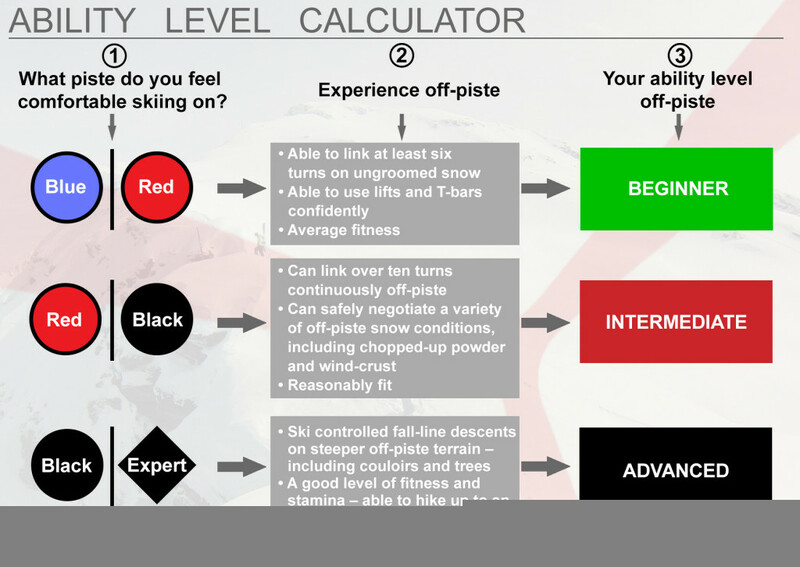 Our courses offer something for the aspiring split-boarder, all the way up to the splitboard experts. With Optional Helidrops, Heli pick-ups, splitboard hire and a night stay in our VHS mountain refuge – this experience can be tailored to your desires.